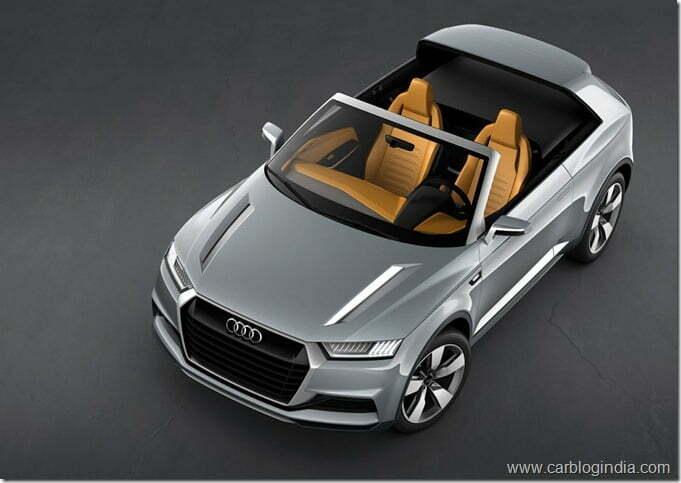 Audi has pulled off the wraps from its latest concept car at the on-going 2012 Paris Motor Show, the Audi Crosslane Coupe SUV which may serve as the blueprint of the upcoming Audi Q2 compact SUV. The Crosslane Coupe SUV features a 1.5 litre, TFSI petrol engine coupled with 2 electric motors with a total power output of close to 175 BHP. 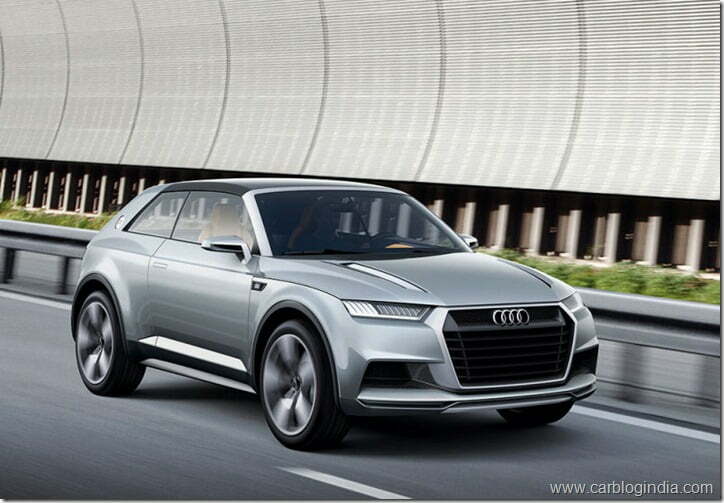 Audi also claims that this hybrid powered SUV can do a 0 to 62 mph dash in just 8.6 seconds all the way to hit a top speed of 113 mph. During the unveil, Audi commented that the Crosslane Coupe SUV is a glimpse to what the upcoming Q models from the Audi stable would looks like. 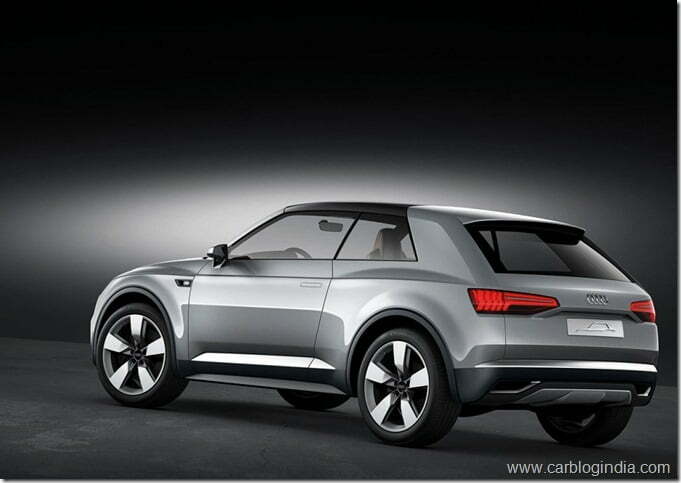 It is expected that Audi will be developing a Audi Q2 next in the pipeline after the success of the Audi Q3. Simply stating, the Q2 would provide an option for the existing Audi A1 customers to upgrade to the more rugged looks and the raised driving stance of an SUV yet with the compact dimensions and drivability of a supermini. Audi has targeted trendy urban youngsters looking for something that’s both ultra-efficient and fun while conceptualizing the SUV. 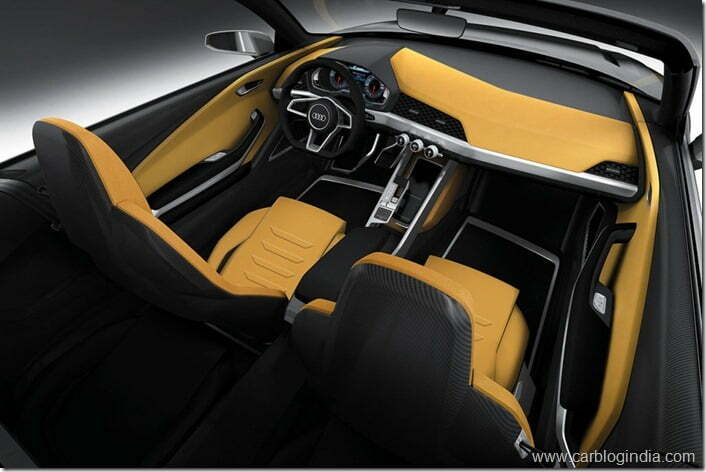 It also explains the extensive use of lightweight aluminum and carbon-based materials. What is surprising is the Crosslane Coupe also features a removable roof that transforms it to an open-top SUV! The roof weighs less than 10 Kg and is entirely made of Carbon Fibre Re-inforced Plastic (CFRP). The interior is also very high tech and most of the controls are mounted on the steering wheel. It also features all-time connectivity to social networking sites like Facebook and Twitter and can send and receive photos and videos via the internet. The car also boasts of a terrific emission figure: just 26g/km making the Toyota Prius look like a soot factory. The 1.5 litre petrol unit gets 2 electric motors. The smaller of the two produces 50kW of power and a torque of 210Nm. It acts like a starter and alternator while the bigger unit develops 85kW of power and 250Nm of torque and provides most of the electrical traction. Stay tuned to Car Blog India for latest updates from Paris Motor Show 2012.